Wilmington has a unique and rich history. It includes bloodthirsty pirates, legendary Civil War battles, ghostly lore, the Battleship North Carolina, and much more. Wilmington was one of the last strongholds of the Confederacy, and was also an important stop on the Underground Railroad. We hope you have time to enjoy and explore Wilmington’s gifts. The history of the Hoge Wood House is just as interesting as the city itself. While this beautiful Queen Anne-style house has been lovingly restored and renovated, its exterior is remarkably unchanged since it was built in 1891. 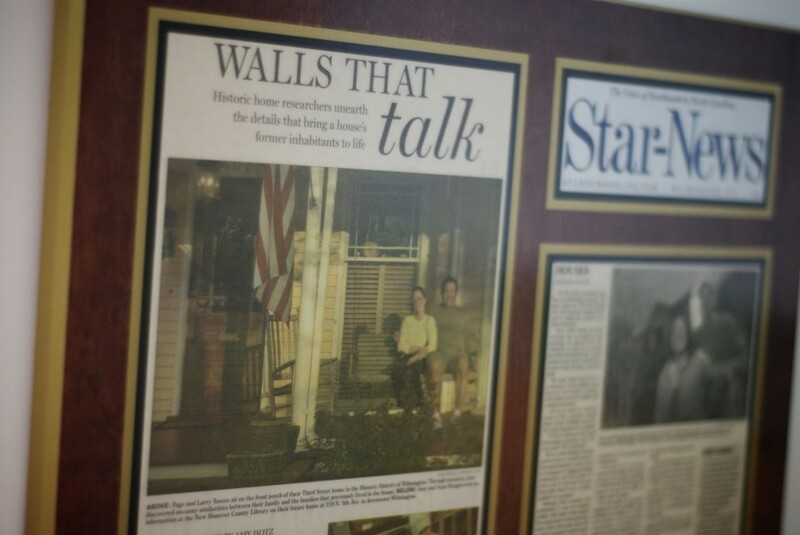 When Page & Larry moved into the house in 1993, they researched (with Page’s parents help!) the structure’s past in order to apply for historic recognition. 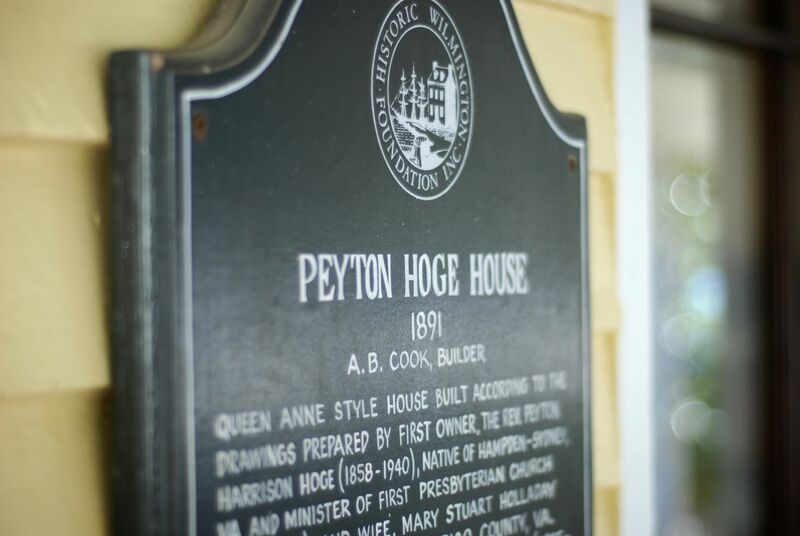 The large plaque to the left of the front door was awarded about a year later, and the house was officially named “The Payton Harrison Hoge House”. Of historical note, In 1901 Dr. Hoge performed the marriage ceremony of Mary Lily Kenan and Henry M. Flagler at Liberty Hall in Kenansville. Flagler was the co-founder of Standard Oil Company and instrumental in the development of Florida. He built a private rail line into Kenansville, NC from Warsaw to especially accommodate his arriving wedding guests. Other former owners were Dr. Edward Jenner Wood and his wife Louise Bellamy Wood. Dr. Wood practiced medicine with his father Dr. Thomas Fanning Wood, who is known at the Father of Public Health in North Carolina.